The idea of filming theatrical performances has been debated heavily for many years now, as more and more theatrical productions here in the UK are recorded and released in the cinema. 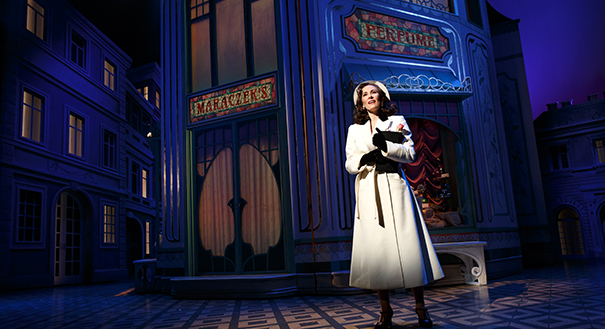 However, on June 30th, history was made as She Loves Me became the first Broadway show to ever be livestreamed around the world for anyone to enjoy! The full show, which is currently available to watch on the BroadwayHD website for only $9.99, will soon be taken down, edited and then reuploaded later this year. The editing will no doubt iron out some of the minor sound and picture faults which were somewhat inevitable in a livestream, however, even without this addition postproduction the livestream was a total success and will no doubt have converted some of those who were more dubious about the idea of presenting theatrical productions in a digital medium. 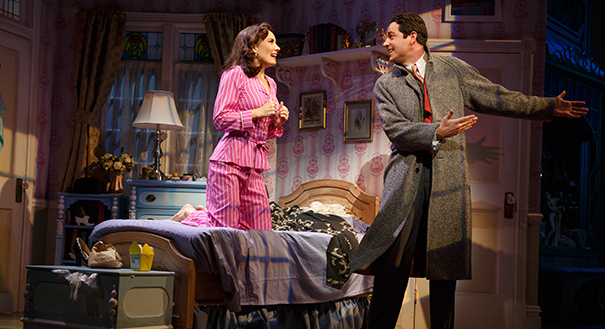 She Loves Me is a fluffy and fun romantic comedy, set in 1930s Budapest, which follows two parfumerie clerks Amalia (Laura Benanti) and Georg (Zachary Levi) who can't stop bickering with each other at work, despite the fact that secretly each is the other's anonymous pen pal. Written by Joe Masteroff, with music and lyrics by Jerry Bock and Sheldon Harnick respectively, the plot is saccharine yet irresistible (much like the vanilla ice cream which Amalia fawns over in act 2) and filled with hilarious beats and brilliant one liners, while the songs are instantly hummable, with clever rhymes and satisfying counterpoints. It is hard to imagine this show failing to charm an audience, and this particular production is elevated by an outstanding cast which ensures that audience are left captivated. Although perhaps best known for his role in NBC's beloved comedy spy show Chuck, Zachary Levi is the perfect Broadway leading man, with easy charisma and a gorgeous singing voice, he injects a charming goofiness into his role, and showcases his impressive vocal talents throughout, particularly in the show's titular song She Loves Me, which is performed with boundless exuberance. He shares the stage with Broadway star Laura Benanti who showcases impeccable comedic timing and a stunning and effortless legit soprano. She is well deserving of the final bow. The pair have sumptuous chemistry on-stage, which makes the ending hugely gratifying, yet predictable of course! Additionally, Jane Krakowski puts a wonderfully suggestive spin on the cutesy clerk Ilona, and Gavin Creel is scene stealing as slimy cad Steven Kodaly. Their B-plot tryst is deliciously engrossing and culminates in an outlandish song and dance number, Ilona, in which the pair chew the scenery like their lives depend on it. 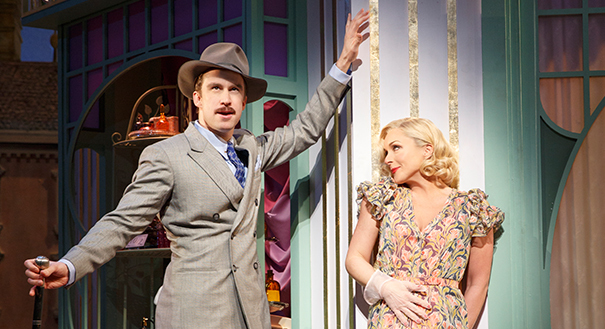 A glorious celebration of how over-the-top musical theatre can be, and not out of place in the semblance of reality in which this production of She Loves Me is set. A first rate cast has been assembled for this production, and combines TV and film personalities with outstanding Broadway performers to great effect, which will no doubt have enticed audiences to watch the BroadwayHD recording who may not have otherwise been aware of its existence, or considered that it might be something that they would enjoy. This production of She Loves Me also benefits from absolutely beautiful Tony Award winning set design. From the enticing parfumarie to a cosy cafe, to Amalia's homely bedroom, set designer David Rockwell has created an enticing picture of 1930s Budapest, which audiences will want to live inside. Similarly, thanks to Jeff Mahshie's costume design, every character is decked out in an enviable (and period appropriate) new outfit in every scene. For the inaugural BroadwayHD livesteam a more universally enjoyable Broadway show could not have been selected. The 2016 revival of She Loves Me is a gorgeous production of a delightful and timeless little show, and will hopefully go down in history as being the first of many livestreamed Broadway musicals, which allow those who don't have the means to travel to New York to enjoy top quality productions affordably, from the comfort of their own living room!